Happy release day Lisa Renee Jones. 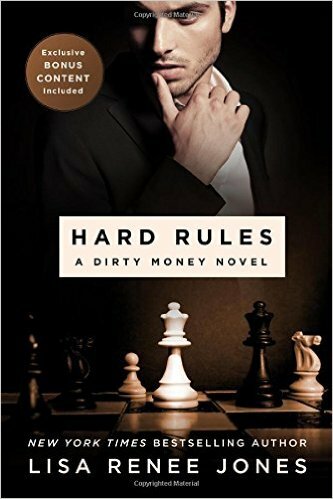 Hard Rules is LIVE! Check out my review of this HOT new series. Omgggg I need more!!!! Review to follow! family in Hard Rules (Book #1). This multi-layered family drama is one big chess game of good vs. evil. Everyone in the Brandon family is struggling to get their piece of the Brandon company fortune. Who is playing who? Emily walks into Shane’s office and his life. Is Shane's new love interest who she says she is? Will her dark and dangerous past, filled with secrets and lies destroy them both? I have to say it took me a little while to get into this book. There were a lot of complex family background to digest. Once the foundation was laid, this story became super intense. Is this company really controlled by some mafia family and dangerous thugs? Is this drug company selling more than drugs? Hard Rules ends with an intense cliffhanger. I can’t wait to get my hands on the next book in this exciting new series!